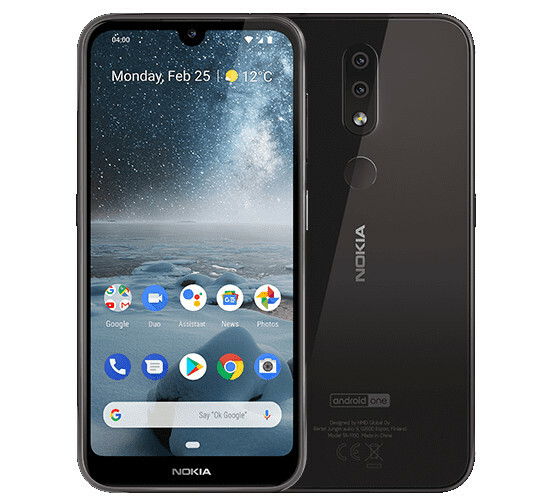 The Nokia 4.2 is another Android One smartphone and it features a 5.71-inch HD+ waterdrop notch display. It is powered by Snapdragon 439 with up to 3GB of RAM, runs Android 9.0 (Pie). It has a glass back and has a rear-mounted fingerprint sensor, and it also features a dedicated Google Assistant button and the power button also doubles as a notification LED light. The Nokia 4.2 comes will be available in Black and Pink Sand color variants and is priced at US$ 169 (INR 12,000 approx.) for the 2GB RAM with 16GB storage version and the 3GB RAM with 32GB storage version costs US$ 199 (INR 14,000 approx. ).